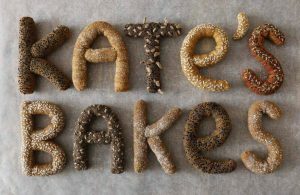 Artist Kate Jenkins is known for her knitted and crocheted food. 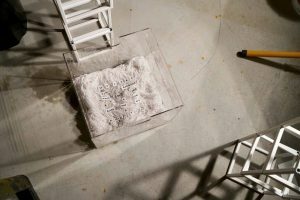 Her newest exhibitions, ‘Kate’s Bakes’ will be opening 3rd-5th May at the Fira de Barcelona as part of the Handmade Festival 2019. The Campaign for Wool (UK) has a fun sheep photo contest, with interesting facts on sheep! 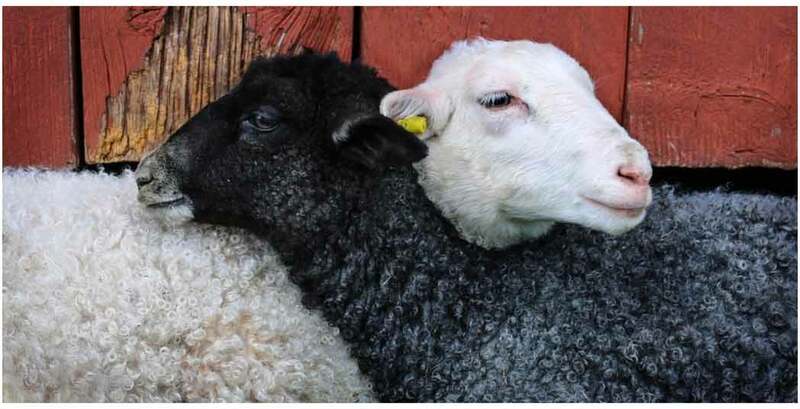 Click through to learn and vote for your favourite sheep! Yarn artist HoTTea takes over Wayzata Gallery (Burnet Fine Art, Wayzata, MN, USA) with a Solo Exhibition that runs through April 14, 2019. 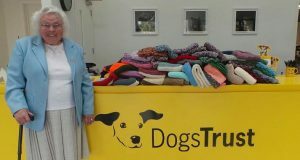 Maisie Green has knitted over 450 coats and blankets for her local animal shelter, DogsTrust (UK).